The place where the players play. So where are the players playing? Is there a board? An app? A website? An imaginary place on their heads? Yes, the last one is real, although you would have to define some BOUNDARIES on to what is acceptable, however when thinking of the SPACE where the players play, there are no limits. Thanks to technology and creativity, players can play through and absolutely ANYWHERE. Don’t restrain yourselft. Easy, normal or hard mode are pretty much the easiest way to explain this mechanic. The stage is not physical but environmental. It refers to the type of field the players are in. An easy way to resemble is the Ice stage vs the Lava stage of a game. It’s not just about difficulty, but about what abilities the players will need to overcome the challenges. When you offer the players different stages of growth they will try to play where they are best at. So we could make the stage the class the players are in. People often think math is the hard class and art the easy one, but what if we put the same strict rules in both classes. Players who are good at math will think the Math class is easy while art is really hard and others might think P.E. is the hardest. 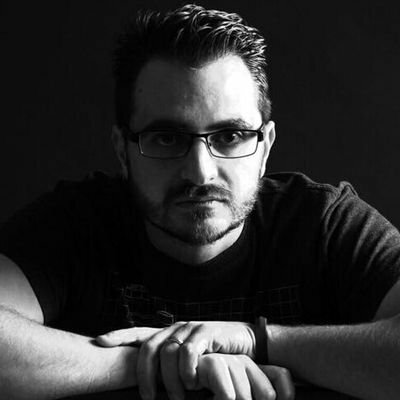 As long as rules apply to all players equally, the difference in difficulty will not be the STAGE itself, but the preference and abilities of the players. The environment can be related to the difficulty but it’s not forceful. Difficulty increases the challenge for all fields and players regardless of the environment. 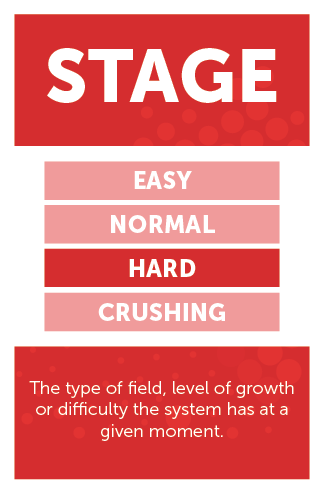 Stage is defined by the abilities players need to overcome the challenge(s). Always do your stages by reverse engineering from the abilities point of view, this will let you know how hard or easy and what moment is good for the players to be faced against such challenge. It could literally be a field. Like in sports. However the point is that this is the BIGGER SPACE where the players deposit DATA. The field is where they literally the place where they play and interact. EVERY SINGLE place where the players can play: the street, the room, the office, the website, the blackboard in a classroom or all of the above. 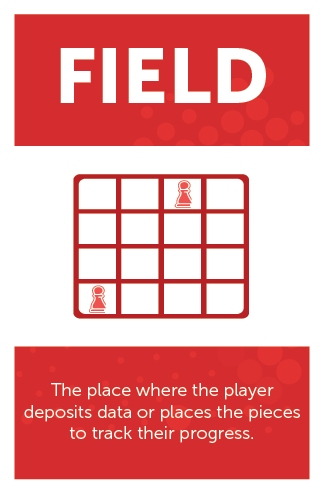 Think of the field as the playing board. Think big and creatively. There is no limit on where can data be input. In Dungeons and Dragons, game masters usually put figurines on a board with squares to represent the position of the players, same with chess or pretty much any BOARD game, however the FIELD in Dungeons and Dragons lies within the Game Master’s notebook where he has planned almost every scenario and every PLACE the players will be. So the board can be just squares, but it’s not the field. The field, is the world the players are in. So, how will you track the progress of the player? How do you know if you are winning on chess? How do you know how good you are performing? 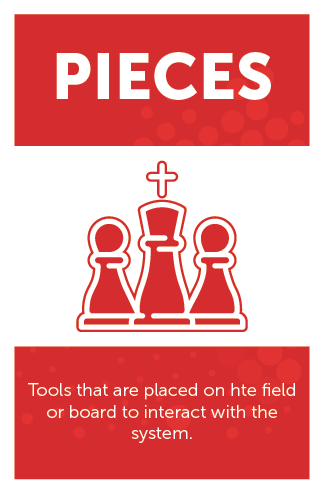 The pieces are the tools that will tell the player where they are. In more technical terms, they are tools used to track player’s progress.  I know, all #gamemechanics are that right? Yes and no. This refers to a more “physical” element that will show the players their position. Now, each piece can have their own set of rules (mechanics) and at the same time each piece will give a different piece of data to both, players and system. You can’t have a stage without a field without pieces to track where and how the players have grown through it. In a classroom the pieces might be the student standing in front of you (the player) but they could also be those little cardboard pieces you gave them to track their progress. The virtual currency is not a piece in the field (unless its part of the mechanics), but the hat that tells you where you have to pay rent is. That way, the piece tells the player everything they need to know at that specific moment. The card of the property explaining the amount of money to be paid is another piece in the board. You put the pieces in the field and let the players feel the stage.